The best free barcode scanner app for inventory. Turn your iOS device into a powerful mobile barcode scanner. 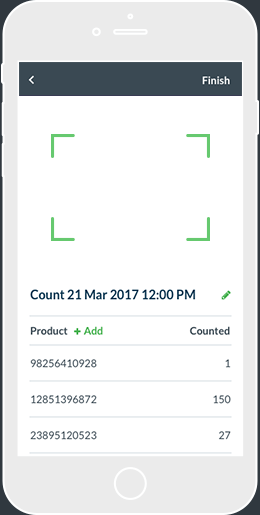 Count inventory using the camera right from your iPhone, iPad, or iPod Touch with no additional hardware required. Edit and save the name and quantity of items as you scan. 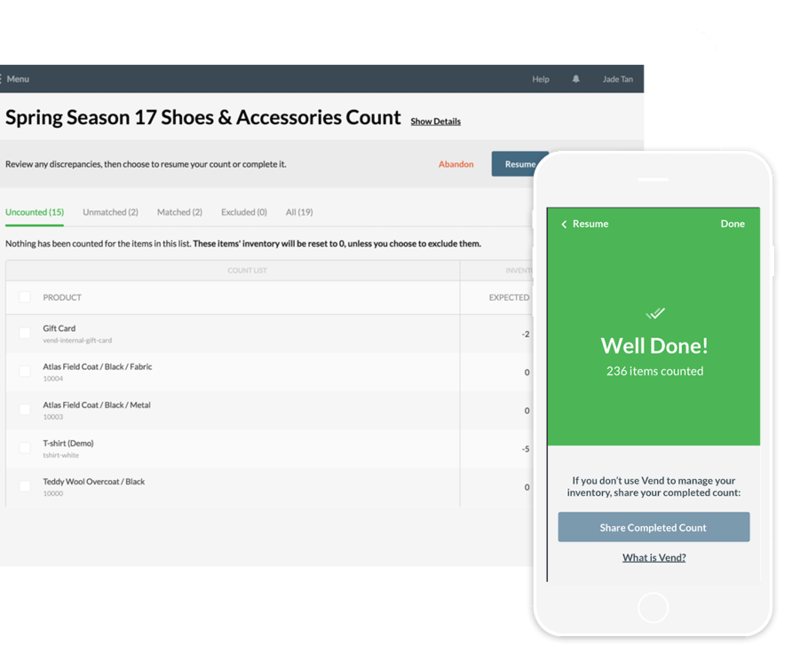 Plus, save any count with an automatic timestamp to easily resume your progress at any time. Perfect for stock orders, transfers, returns, stocktakes, and other situations where scanning to make a list is needed. Edit and save the name and quantity of items as you scan. 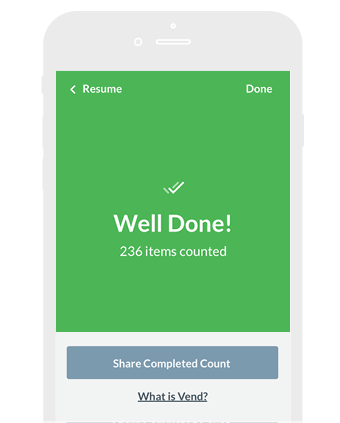 Plus, save counts with an automatic timestamp to easily resume your progress at any time. Scan your products into a versatile CSV file compatible with many business tools. Easily email completed CSVs, with name, quantity and SKU data, directly from your iOS device. Save countless hours and the possibility of human error by eliminating manual data entry. Scan your products into a versatile CSV file and share directly from your device. Save countless hours and the possibility of human error by eliminating manual data entry. 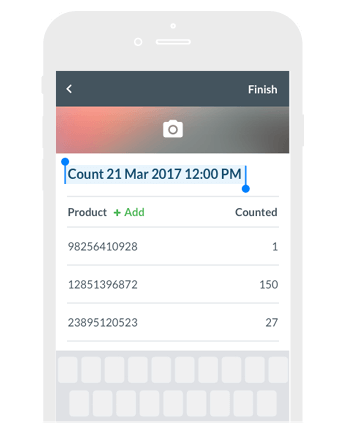 No more spreadsheets or manual entry - perfect inventory syncing straight from your phone. 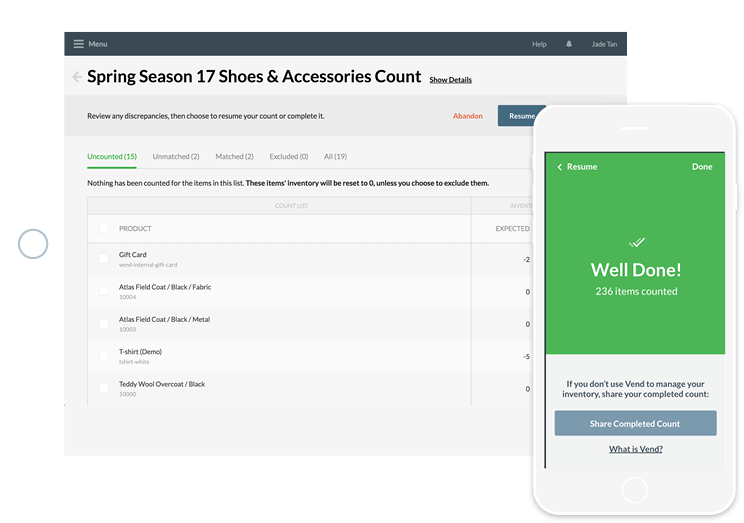 Save time and schedule your counts in advance in Vend or Scanner. Plus, let multiple employees count at the same time, using their own iOS devices. GET ALL THE DATA AT YOUR FINGERTIPS. Skip manual product entry by having Scanner automatically populate your product details as you scan. Plus, use the in-app search bar to directly add products from your Vend catalogue. Vend + Scanner sync to update counts and stock records from your device - no more manual uploads. And you’re still in control; check counts against expected stock levels to get the job right first time. Scanner by Vend is a free app, available to download via the Apple Store. Does it integrate with my POS system? 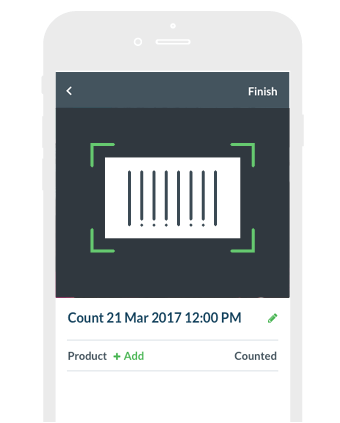 Scanner integrates with Vend POS to sync your counts and stock levels, removing the need for CSV imports and manual uploads. To find out more click here, or try Vend for free. What if I don’t have Vend? You can still import your counts into many business tools via a CSV file, or just use Excel to ready your spreadsheets. If you would like to see the integration in action, take a free trial of Vend now. My barcodes are not scanning! Scanner supports many common barcodes and datamatrix codes: UPCE, Code39, Code39Mod43, EAN13, EAN8, Code93, Code128, PDF417, AztecCode, Interleaved2of5Code, ITF14Code, DataMatrixCode. Does Scanner work on Android? No, Scanner by Vend is currently only available for iPhone, iPad and iPod touch. How do I download Scanner on to my iPad? When searching for Scanner by Vend on an iPad, adjust your search criteria in the App Store to ‘iPhone only’ to display the Scanner app. Then, simply download the app directly to your iPad. How do I connect Vend with Scanner? Simply sign into Vend in your Scanner app, and you’re all ready to go. If you get stuck, check out our help centre guide. Do I still need to send my count as a CSV? No, once connected with Vend, Scanner will sync your counts and stock levels with your back office. If you still wish to use Scanner for stock orders, transfers and returns, you will need to do this as a guest user and share your CSV. What if someone submits an incorrect count? Every completed count in Scanner will get submitted to Vend Web Register for approval by the account admin, before any stock levels are synced. No, Scanner is currently only available for iPhone, iPad and iPod touch. Please submit a ticket to our support team and someone will be in touch to help you.